Newton Aycliffe-based cleaning firm Diamond Commercial Cleaning is celebrating an impressive period of growth after smashing its turnover target. The firm’s managing director, Beverley Wardrop, aimed for 10% growth during a 12-month period, but her business has surpassed that when it reported a hike of more than 30%. Beverley runs her business with the assistance of a strong management team. Regional contracts manager Stephanie Harker works alongside Beverley in the day-to-day running of the business while liaising with the company’s area managers Dawn King and Carol Millward. 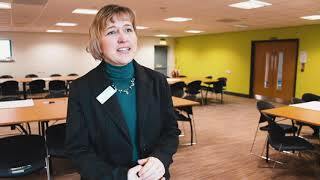 The firm’s head office, at Technology Court on Aycliffe Business Park, was launched in October 2005 by Beverley and started out with just six members of staff. The team has since grown to 70, with 12 new employees joining the firm in the last year, two of whom have already been promoted to supervisor roles. Diamond Commercial Cleaning services a wide range of businesses across the North East, from medical to food hygiene, engineering to office environments and factories to aviation. It has also taken on large projects including outdoor events and offshore cargo ship. Diamond regularly supports a number of construction firms in the area by carrying out cleaning of the property once their projects are complete. Beverley said: “The growth of the business has come from our excellent reputation for high cleaning standards. 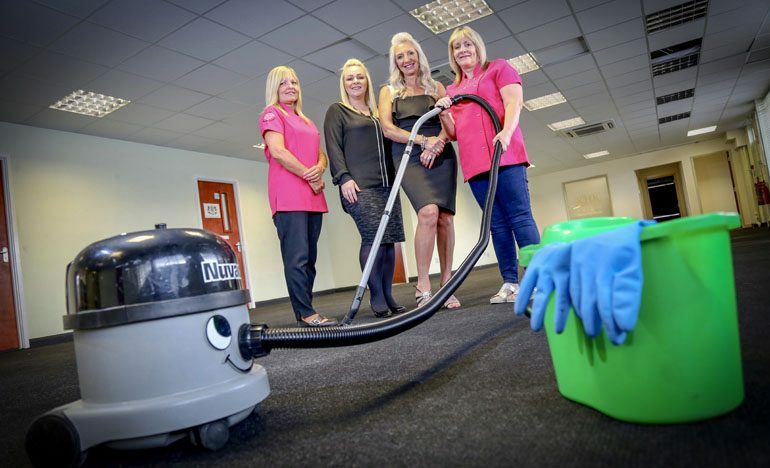 • Pictured (above): Diamond Commercial Cleaning managing director Beverley Wardrop (second right) and regional contracts manager Stephanie Harker (second left) with area managers Dawn King and Carol Millward.